There are two kinds of coffee places, those for working, and those for playing, and often the twain do meet. 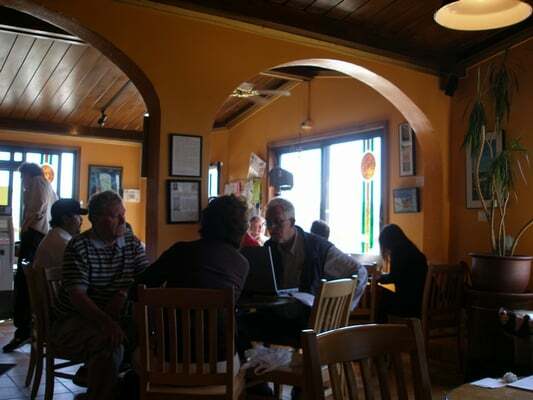 As a professional writer and amateur poseur, I’ve spent more than a few hours inside San Francisco’s many coffeehouses. Writing can be a lonely business, and coffeehouses are great places to work while still feeling a part of the human race and normal work world. There are also lots of great third place venues for eating, drinking and socializing. This list includes both those categories: Coffeehouses best-suited for working, and those ideal for drinking and socializing, in each of the city’s neighborhoods. Work: Café le Flore. Located on the quiet end of Clement St, this basic café has plenty of plugs and patrons focused on their computers. And though it’s small, it’s rarely so busy you won’t find a seat. The staff is friendly and accommodating, and the sandwiches and salads are good and reasonably priced. Play: Blue Danube. An institution, this place has been around forever, at least since the early 90s. A bit slummy but in a good way, the room is a combination of couches and small tables pushed together, with big front windows that open up on warm days. Patrons are split between workers/students and socializers/relaxers. The menu is a feature, with gourmet-ish soups, sandwiches and salads, as well as fresh juices and smoothies. There’s beer and wine too, which is especially popular with patrons waiting for a table at Burma Superstar. Internet access is a mixed bag, and plugs are too. 306 Clement St, (415) 221-9041. Work: Café Enchante. There’s a Russian vibe to the outer Richmond, and even though this place is ostensibly French, it feels French-Russian. It’s roomy, with a mix of couches, comfy chairs and café tables, and people are mostly here to work. Hide out in the corner and stay as long as you want, or sit by the window and watch the fog. Typical coffeeshop fare. Play: Bazaar Café. 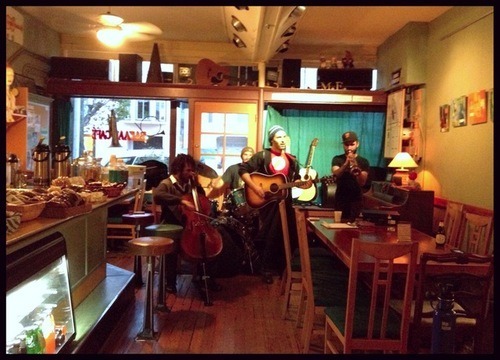 This place is kind of a classic coffeehouse, with multiple rooms, a mix of chairs, random books and knickknacks, and a small stage for local musical acts. There’s an especially pleasant garden in the back with plenty of tables for relaxing and socializing on the occasional sunny day. The food is decent, and there’s beer, wine and sake. I’ve tried to work here in the past, with mixed results; plugs are limited and Wi-Fi spotty. 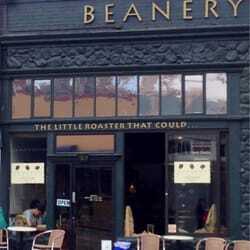 Work: Beanery. I hate to say it, but the Starbucks on Irving might be the best place to work in this neighborhood, although it’s usually packed and filled with characters. Otherwise, Beanery on 9th gets my vote. It’s small, like most of the cafes around, but I’ve been able to get some productive work done here. And there’s a fairly active scene outside to give you the sense that life is happening, but not so much to be distracting. Play: Park Chow. I realize this is more restaurant than coffeehouse, but there’s a bar and no pressure to vacate, and I’m hard-pressed to find a better alternative in this neighborhood of very pedestrian coffeeshops. I haven’t tried, but I’m sure you could open up your laptop. Nothing fancy, but I like the food here, and the vibe. Work: Rolling-Out Café. Is Taraval technically Outer Sunset? Does anyone care? I was just out here, and in search of a café. There’s not much, but this place offered everything I needed, plugs, Wi-Fi, quietude, decent enough food and drink, friendly coffee server, a variety of seating options. There was even a little loft area for those who like to perch. You may miss it since the awning/sign hasn’t been cleaned since 1982. Play: Java Beach Café. This place is an institution, and a definite neighborhood destination/hangout. I’ve done some work here, and it’s okay for that, with a mix of couches and stools in a smallish interior. But it’s really a social gathering spot, with pretty good food and several beers on tap, and especially popular on a sunny day on its outdoor patio. It sits at the terminus of the N Judah, and a short stroll from the beach.